Yikes. Not really the season people out in D.C. were expecting from these Redskins. 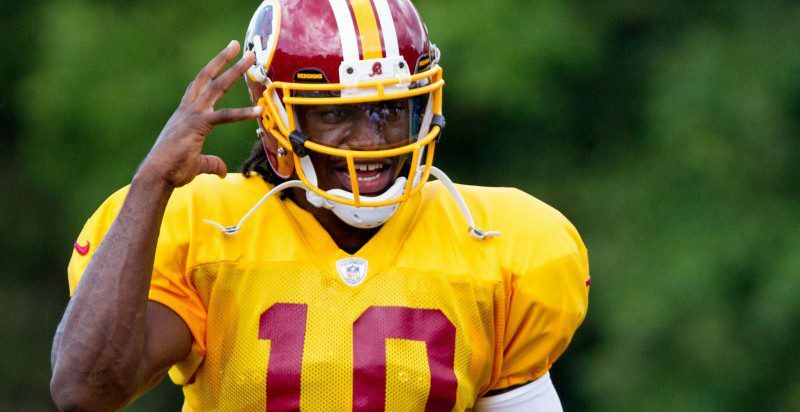 With the addition of DeSean Jackson to go along with a “healthy” Robert Griffin III and Alfred Morris, Washington looked primed to compete for the No. 1 seed coming out of the NFC East. Step 1: TB takes Amari Cooper with the No. 5 pick (from Washington) in the 2015 NFL draft. Step 2: They trade Vincent Jackson away for a third round pick (a steal for many teams) to help make room for Cooper. Step 3: Mike Evans and Cooper create a WR dynasty in Tampa Bay similar to the Alshon Jeffrey/Brandon Marshall situation in Chicago but about a combined 10 years younger. Favorable weather, big market, and lots of talent on the offensive side of the ball. Check, check, and check. Washington has lots of young talent in terms of offensive skill players (Jackson, Morris, Jordan Reed, etc.) but they lack a legitimate offensive line. The Redskins’ line gave up the second most sacks in the NFL last year, and although Mariota is great at making plays with his feet, he’ll need protection. In the past Mariota has seen his fair share of injuries, so seeing him go to a team where he could be hit so often is a bit of a red flag. Ideally, if Washington were to get him, they’d spend the rest of their draft and offseason upgrading their line so they can protect the Hawaiian phenom. If not, Mariota could see a very similar career in D.C. to that of RG3. There’s only so much a QB can do. Eventually. RG3 started all but one game his rookie year, and everyone out in D.C. knows Colt McCoy isn’t the answer to their problems. Mariota wouldn’t need to be perfect, Morris and Jackson could help pick up the slack on offense, but he’d need to prove he could protect the ball on offense. RG3 threw only five picks his rookie year, something that really impressed the coaches and helped him earn R.O.Y. honors, all while leading the Skins to a playoff berth.